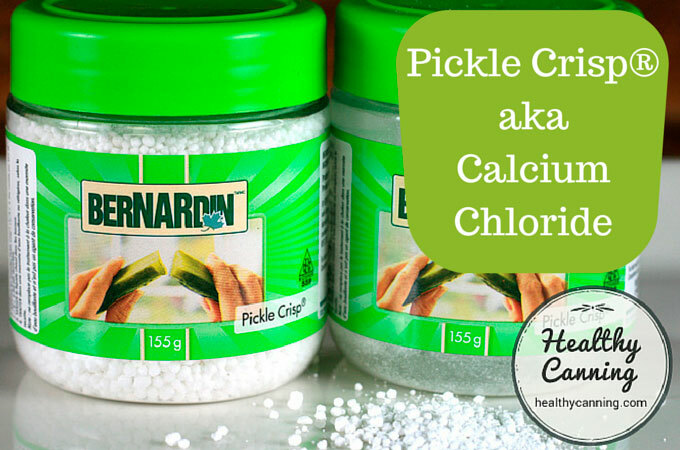 Calcium Chloride is a firming agent that can be used in pickling. Many people like it and swear by the results; a few still say that nothing will ever replace the crispness of an actual limed pickle. 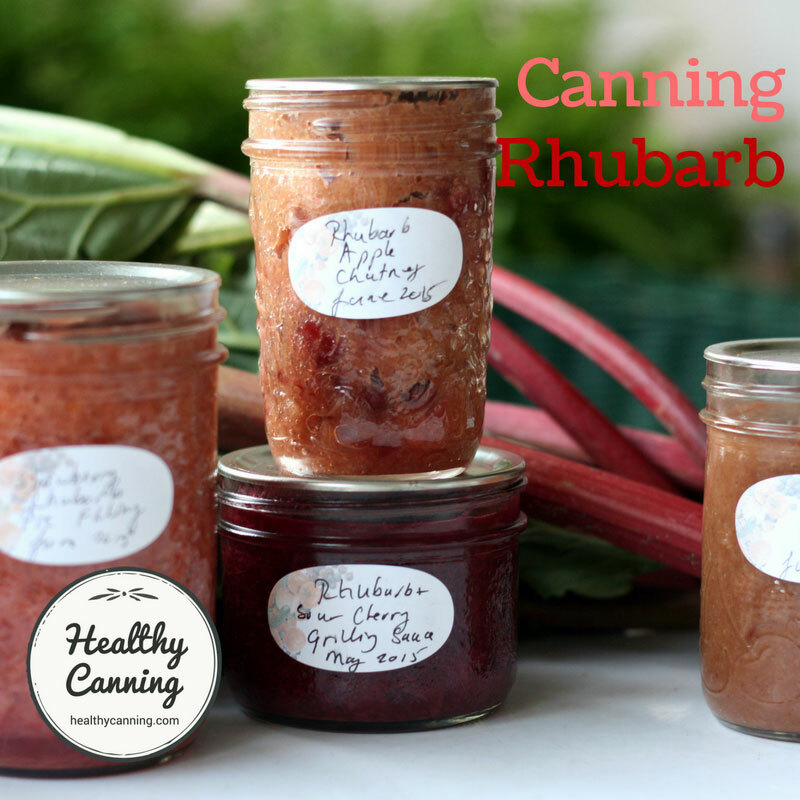 Going into the preserving process, it can help to maintain the crispness that produce has. But, it will never restore lost crispness. 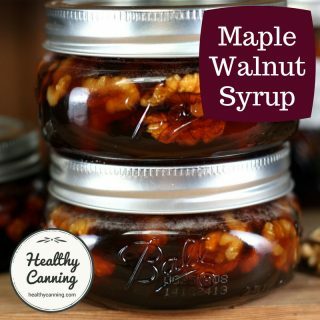 It’s easy to use; you just add it directly to each jar of preserves. 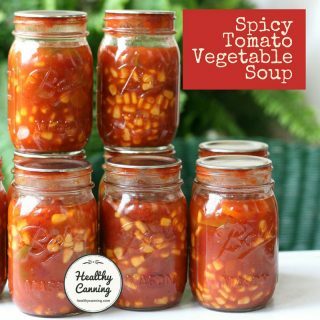 You only need a very small amount of it per jar, so a canister or tub of it goes a long way. 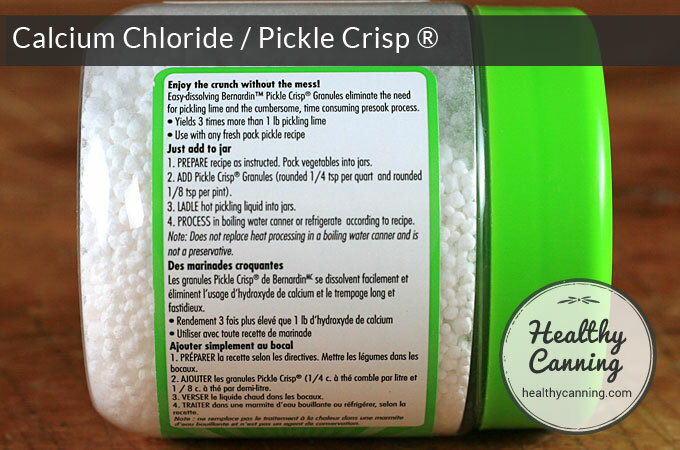 The Newell Corporation, through its Ball and Bernardin brand names, sells it in green plastic canisters under the name of “Pickle Crisp®.” Unlike their other pickle mixtures, their Pickle Crisp is a pure ingredient (pure Calcium Chloride) with no added salt or extra flavourings, etc. It is a coarse powder consisting of small, white round balls. Generally, use about 1/8th teaspoon per 1/2 litre (US pint) jar; 1/4 teaspoon per litre (US quart) jar. But you can use more than than. For instance, the Bernardin recipe for Carrot and Daikon Pickle  Bernardin Guide 2013, page 86 calls for 3/4 teaspoon of Pickle Crisp per 1/2 litre (US pint) jar. We queried this, and heard back from Bernardin’s chef Emerie Brine, who said that the 1/8th a teaspoon was just a guide, and that the full 3/4 teaspoon per jar should be tried. Emerie Brine to Randal Oulton. 26 January 2015. Email on file. 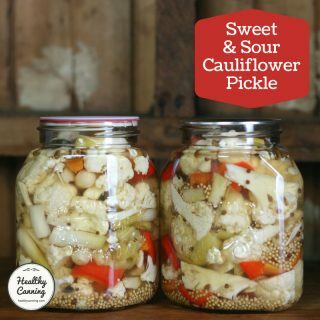 Some people advise that if you want to try calcium chloride with fermented pickled products, add it into the jars when you are actually canning the pickles or sauerkraut, not into the vat during the fermentation process. It can also be used to help improve texture in canned apple slices, pears, peaches, etc. 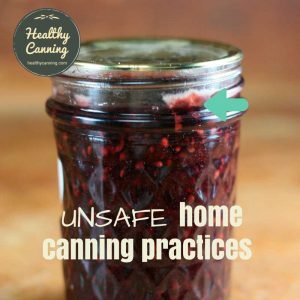 Some people also use it when canning whole tomatoes so that the tomatoes stay together better. In addition to crisping up pickles, calcium chloride can also give a bit of a salty taste, while not adding any sodium to your food. Home brewers who mistakenly add too much calcium chloride to their brewing mash complain that it tastes like sea water. Calcium chloride, of course, food-grade. Some people find this more acceptable than alum, but we do not include it in any pickle recipe or canning instruction in this book. 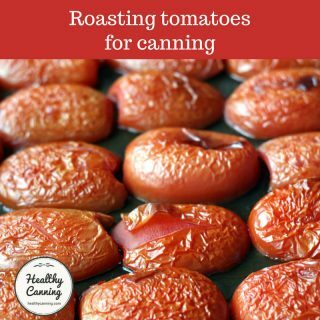 It is an ingredient often used by commercial canners, especially in tomatoes. If you feel impelled to use it, get it from a drugstore or internet source in a food-pure form—not as sold at farm- and garden-supply centers for settling dust on roads or for dehumidifying closets, etc., or for fireproofing. And, because too much of it could leave a bitter aftertaste, never substitute it measure-for-measure for regular salt (sodium chloride). Instead, figure how much salt you’ll need for a batch of, say, tomatoes, and in advance mix not more than 1 part calcium chloride with 2 parts regular salt. 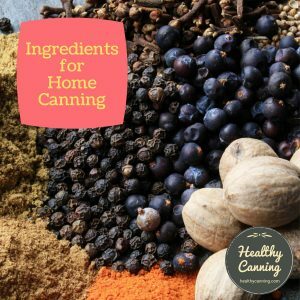 Then add the mixture in the amount of optional salt seasoning that the canning instructions call for.”  Hertzberg, Ruth; Greene, Janet; Vaughan, Beatrice (2010-05-25). Putting Food By: Fifth Edition (p. 42). Penguin Publishing Group. Kindle Edition. In the first incarnation of Pickle Crisp (see History below), Ball advised that you could use it as a pre-soak. 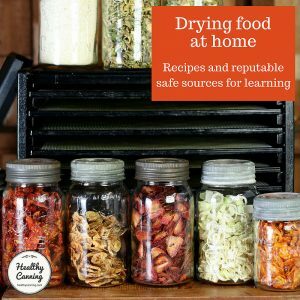 They don’t mention its use as a pre-soak now (2015), though some people add it to the initial brining step in some pickled onion recipes, and are please with the crunchy results, even after water bath canning the jars. In Europe, it’s permitted to be used as a firming agent (E number E509), and has GRAS (“generally recognized as safe”) status in America with the FDA. It’s also used by wine makers, brewers, Molecular Gastronomy chefs and Modernist Cooking chefs. 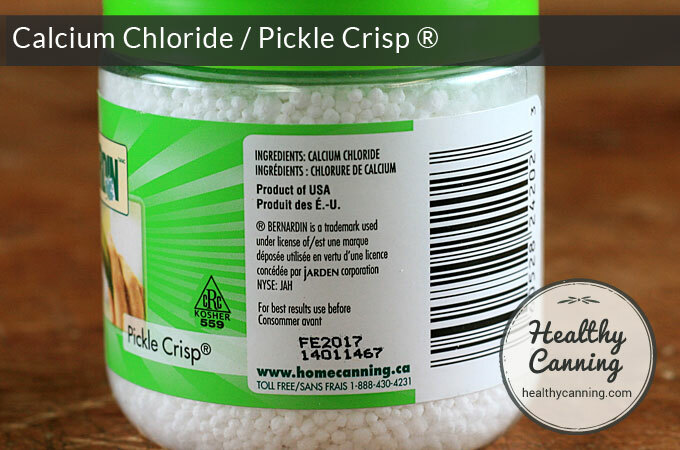 If you do not purchase it as “Pickle Crisp” then make sure you are getting pure calcium chloride; make sure it is also food grade calcium chloride and not industrial grade. You could try a brewer’s supply store. 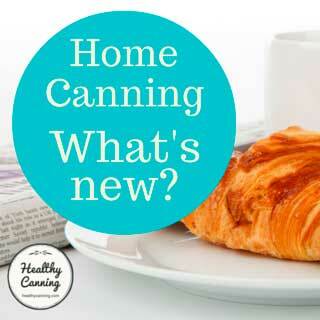 In the quantities used in home canning, calcium chloride will not impact your pH. You’d need to use enough to turn your cucumbers into fossils to have an impact on pH. What is the pH of an OxyChem calcium chloride solution? Accurate and consistent pH measurement in concentrated salt solutions is quite challenging. Results will vary significantly depending on the type of pH probe used and to what degree (if any) the solution is diluted prior to measurement. OxyChem calcium chloride products are somewhat alkaline due to the presence of a small amount of calcium hydroxide impurity. The pH reading for an undiluted sample of 35% solution should be approximately 9.” OxyChem. General Calcium Chloride FAQS. The ratio of 1/4 teaspoon per litre jar of pickles (1.25 ml per 1000 ml) works out to be just a 0.125% mixture. That is so infinitesimally small that it wouldn’t have any impact even on straight pure water, let alone a jar full of vinegary pickle brine. 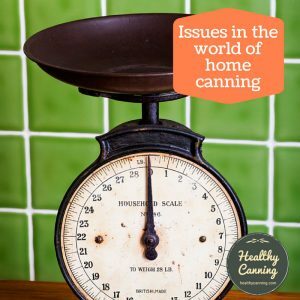 So, we are going to say there are 0 pH concerns for home canning applications. Calcium chloride was apparently first used in preserving in an atttempt to help achieve higher canning temperatures in the days before reliable pressure canners (aka retorts) were invented: “[Appert] did experiment with pressure processing, but at that time ‘digesters’ were quite dangerous, and it was not the norm. Around 1863 processors used ‘chemical baths’, in which high concentrations of calcium chloride enabled ‘water’ to boil at up to 121 C. This allowed for significantly shorter cooking times. By 1870 basic retorts were being used to temperatures up to 121 C but they were still quite dangerous and hand operated.”  Featherstone, Susan. 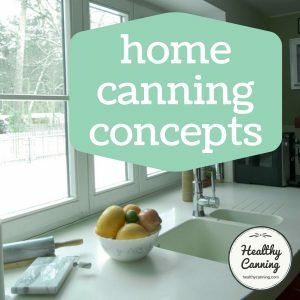 A Complete Course in Canning and Related Processes: Volume 2. Cambridge, England. Woodhead Publishing. 2014. Page xxxi. Ball first sold calcium chloride as a crisping agent called “Pickle Crisp” starting somewhere around 2004 / 2005. They discontinued it by the end of 2007. By 2013, they had returned the product to the market. They originally sold it in 26 gram foil packages, with each package being able to handle 4 to 5 quart jars. The directions initially were 3/4 teaspoon per 1/2 litre (US pint) jar; 1 1/2 teaspoons per litre (US quart) jar. For use as a pre-soak, the directions were to dissolve one whole 26 g packet in 4 litres (a US gallon) of water. As well, it appears to have been a finer powder in its 2004 to 2007 incarnation — it was reintroduced in 2013 in a more granular form. 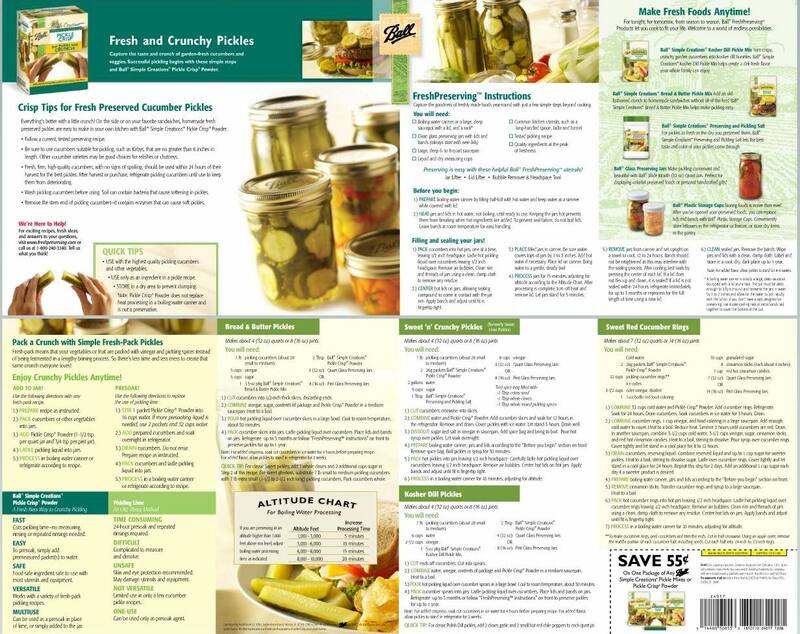 Pickle Crisp Brochure (from around 2006, during the first incarnation of the product.) Click for larger. Here are two shots of the sides of the Pickle Crisp jar. Notice that it is pure calcium chloride, with nothing else added. 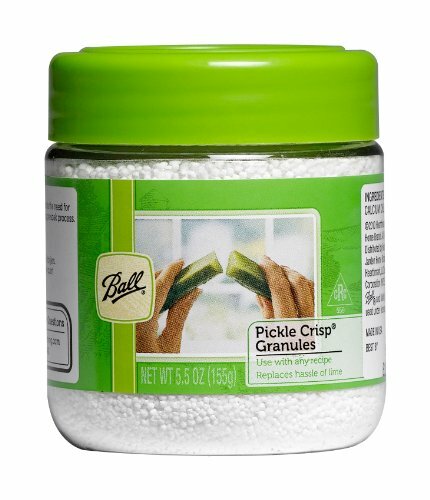 Ball’s / Bernardin’s other bottled pickling mixes are very different: while Pickle Crisp is pure and salt free, the other pickling mixes are largely salt. Pickle Crisp is not. 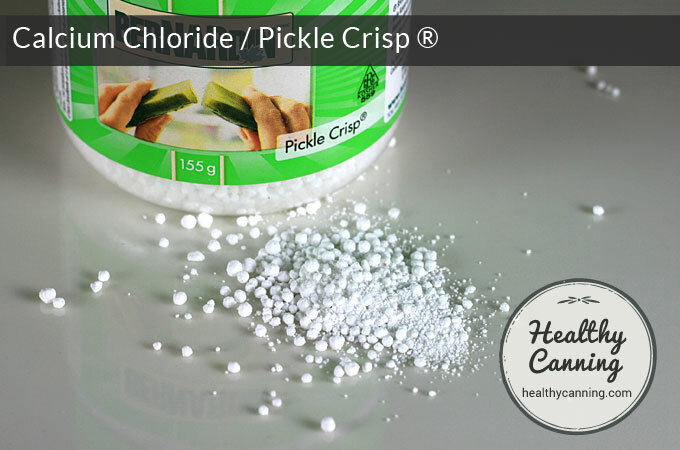 Pickle Crisp is pure Calcium Chloride with nothing else added. Here’s the usage directions. Note that they are clear that just is just a crisper, and that you should in no way think that Pickle Crisp aids in proper preservation of your food products: responsibility for that is still on your shoulders! Pickle Crisp usage directions as per the label. 2. ↑ Emerie Brine to Randal Oulton. 26 January 2015. Email on file. 4. ↑ Hertzberg, Ruth; Greene, Janet; Vaughan, Beatrice (2010-05-25). Putting Food By: Fifth Edition (p. 42). Penguin Publishing Group. Kindle Edition. 6. ↑ OxyChem. General Calcium Chloride FAQS. 8. ↑ Featherstone, Susan. 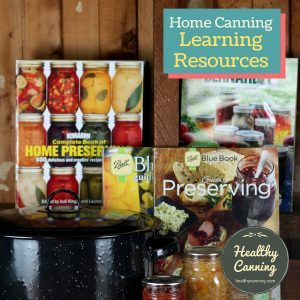 A Complete Course in Canning and Related Processes: Volume 2. Cambridge, England. Woodhead Publishing. 2014. Page xxxi. I would like to make spiced apple rings from cucumbers. My recipe calls for soaking them for 24 hours in pickling lime. How do I use the pickle crisp for this? Not sure. You’d need to ask whoever it was who published the recipe you are using. 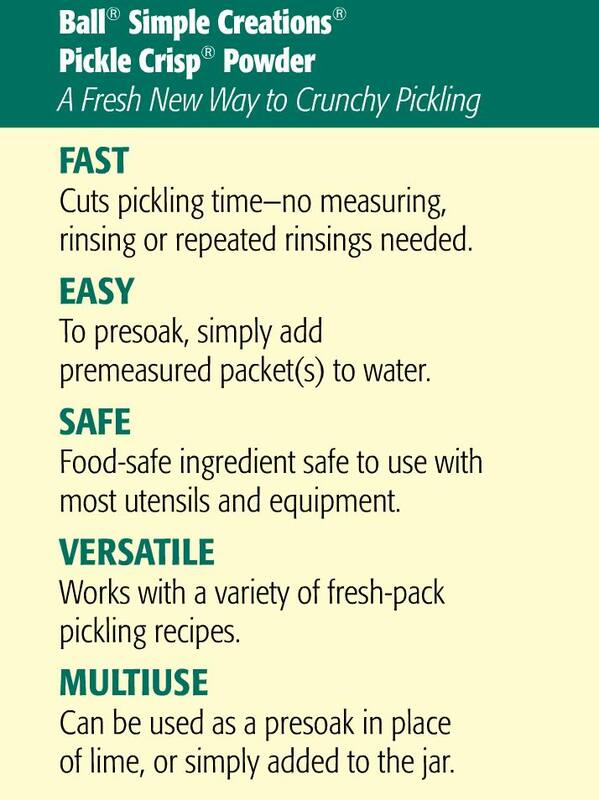 Have you tried the overnight soak in pickle crisp? If so how did you do it and were you happy with the outcome? Pickle Crisp: going by the ratio for Pickled Pepper Mix (Ball Blue Book, 37th edition, 2014, page 94), it would be 1/4 teaspoon pickle crisp per quart jar. There’s really no upper limit though that they’ve taught us, and Bernardin does tend to use it a bit more generously. I have a feeling they’d be inclined to do 1/2 teaspoon per quart jar. But there’s no studies either of them have released showing at what point adding more becomes pointless. Salt is to taste, it’s not a preservative, just a seasoning in this context. So maybe 1 to 2 teaspoons per quart jar, depending on how salty you like things? 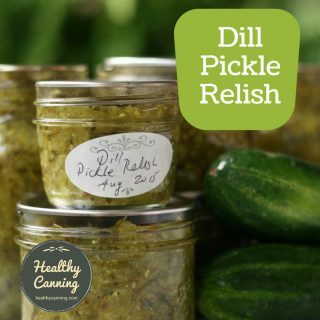 Maybe 1 teaspoon if you are using Pickle Crisp — some people feel it enhances the salty taste of things, though for real salt lovers, that might not be enough of an enhancement. can I use pickle crisp in fridge pickles? You could, yes, for sure! Can I add Pickle Crisp to my pints of Pickles using a brine made from Mrs Wages Bread and Butter Pickle Recipe or Mrs Wages Dill Pickle Recipe? Pickle Crisp is designed to help veg stay crisp. You could certainly try some to see what you think. The “Pickle Crisp” chef is Mr Brine? I use a liquid form of pure calcium chloride in cheesemaking (to help firm cheese curds for hard cheeses like feta). 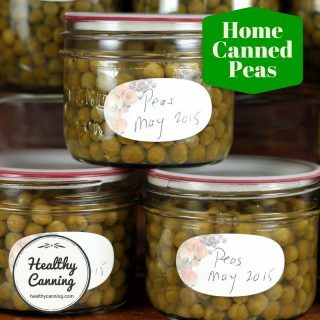 Can the liquid form be used in canning pickles? If so, what is the amount needed per pint? Hi Carroll, interesting question. I don’t have access to any primary sources I can cite on the use of the liquid form in home canning of pickles, so I’m going to have to refer you to certified Master Food Preservers who might. Carroll, did you get an answer? Pickle crisp is nothing more then pool shock, it kills the enzymes in the cucumber that lead it to soften. Nothing dangerous about it. Pool shock is Calcium Hypochlorite or Sodium Hypochlorite. When wixed with water they give off Chlorine that is bleach. Not good to eat.